Gearward’s A-K Band, or Anti-Kidnapping Band, is an extremely discreet kit that can keep a few effective escape tools close at hand, even if you are restrained. 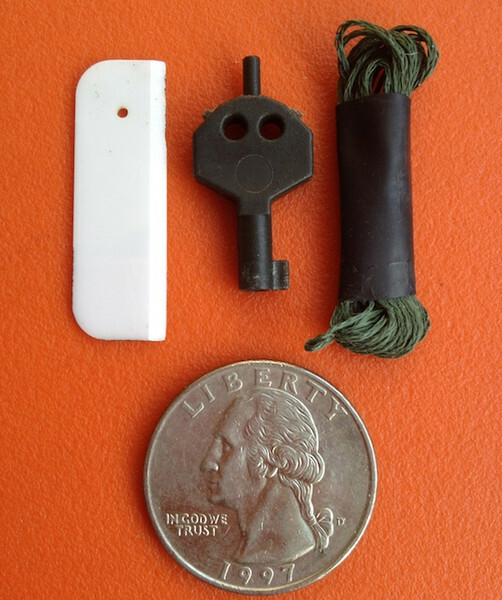 The kit consists of a bit of ranger band, a polymer handcuff key, a ceramic razor blade, and a 4′ length of Kevlar cord to use as a friction saw. The ranger band allows you to stow all of the contents of the kit on your watch band where it nearly disappears once covered by the folded over excess of the watch band. 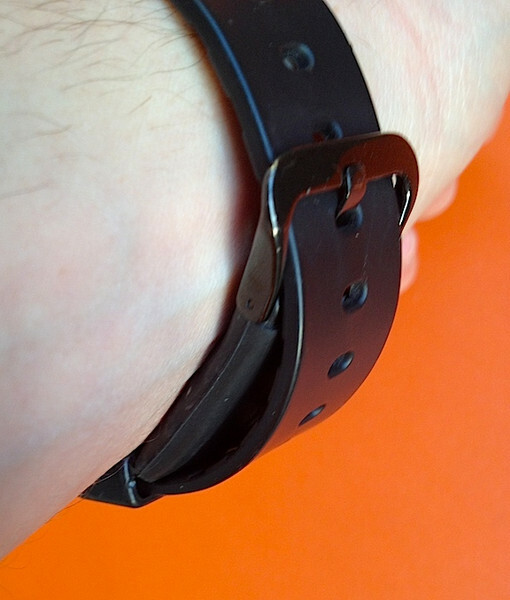 The kit is completely non-metallic and since it is carried on your watch, it can theoretically be accessed while you are restrained (assuming you are allowed to keep your watch). As with any kit of this sort, I highly recommend that you spend some time learning and practicing its use before you need it. You can find the A-K Band at Gearward and, while you are there, check out their extensive pictures on the A-K Band’s use.